If you’re on the island of Murano, it’s gotta be about glass | get back, lauretta! It was the sort of thing that would never happen to George Clooney: As I stepped off the packed vaporetto onto the island of Murano, I slipped on the rain-slicked dock and my trolley bag went click-clacking across the dock’s wooden planks. 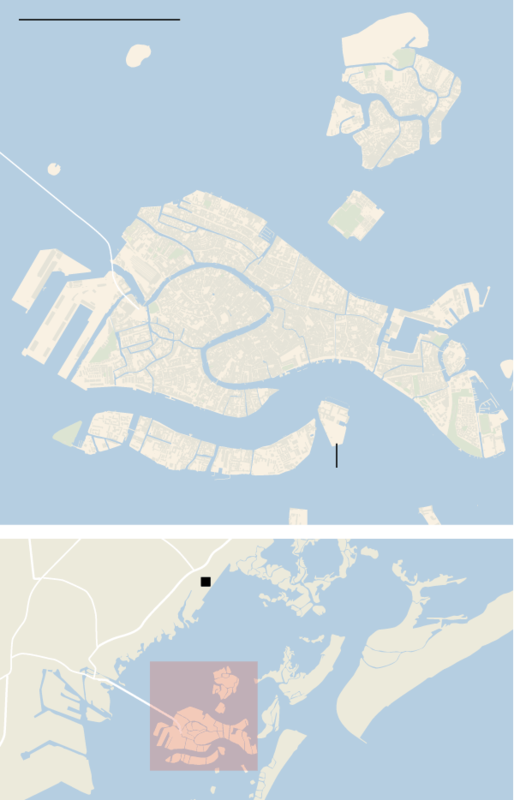 When neither the suitcase nor I fell into the Venice Lagoon, my audience — a boat full of amused Italian passengers — went back to their cellphones and newspapers and the vaporetto chugged off toward Venice. It was an inauspicious start to a journey that many a trusted tastemaker advised me not to take. Despite the fact that vintage Murano glass is avidly sought by museum curators and interior designers around the world, there is a prevailing sense that contemporary Murano has lost some of its mystique; a trip to the island is usually the purview of package tour operators and first-time visitors to Venice. Rumors that some of the “Murano” glass sold on the island is actually made in China or Mexico haven’t helped; nor has a global recession that’s been particularly harsh to southern Europe and its artisans who create exquisite but often expensive wares. But in just one day in September spent poking around the island, it was abundantly clear that talented artisans are still creating gorgeous glass objects. And blending the latest technology with ancient techniques has been Murano’s recipe for survival for the last seven centuries. Glassware, of course, has been around for millenniums — the Romans produced beautiful pieces — but the knowledge and techniques were eventually forgotten and lost in Europe during the Middle Ages. Its revival can be traced to the Republic of Venice’s trade with the Middle East, where glassmaking traditions had continued in Byzantium and the Muslim world. Through their trading partners, the Venetians learned the secrets of production and established a thriving industry that produced elegant blown glass and mirrors, which quickly became coveted symbols of style and status across Europe. After repeated fires at the factories leveled parts of the city, the doge moved all glassmaking enterprises to the small island of Murano in 1291, creating what some call the world’s first industrial park. Besides containing the risk of fire, the move controlled comings and goings to ensure that rival empires did not pilfer talent or techniques. 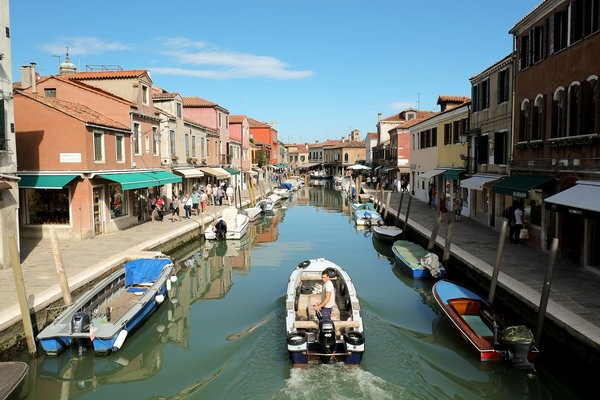 Today Murano still maintains an industrial vibe, resembling a gritty micro-Venice with a largely working-class population of 7,000 residents and an annual influx of more than five million tourists. There are some photogenic canals and bridges and even a lighthouse, but much of the island is a maze of nearly deserted lanes winding through a dense jumble of seemingly derelict factories. The retail action is mostly confined to the main streets, which are packed with the showrooms of well-known manufacturers like Seguso, Venini, Barovier & Toso, Cenedese and Mazzega and smaller stores selling a wildly diverse array of off-brand objects to suit every purse. Because I wanted to avoid the hawkers and product overload while learning a lot about Murano in a short time, I hired a guide, Guido Lion, from the bespoke travel operation IC Bellagio. Mr. Lion arranged a tour that allowed me to visit several maestros in trusted workshops like Cenedese (now owned by Seguso) and walk through their showrooms with no impulse to buy but rather to trace the history of glass production and innovation. As is the case today when the best way forward seems to start at the intersection of cutting-edge technology and quality, so it was after World War II, when Gino Cenedese opened a glassworks that became an incubator of innovation in the 1950s, ’60s and ’70s. The introduction of gas furnaces and torches suddenly allowed maestros to work at consistently higher temperatures and to create ever thicker and more sculptural pieces of glass. Among these are the “sommerso” vases created by Antonio Da Ros, which appear to be a composite of two, three or more vases of different colors — one inside the other — fused into an outer vessel of clear glass; these are highly prized items by collectors of midcentury design. After Cenedese’s museumlike displays, it took a minute to adjust to the creatively chaotic atmosphere at Massimiliano Schiavon’s vast shop and showroom, where the ground-floor furnaces are nestled amid product displays and continuing projects, such as the black glass vintage movie camera that was being made during my visit as a wedding gift for Mr. Clooney. Mr. Schiavon’s work betrays an affinity for vivid colors and exceptionally large bowls, vases and platters — some more than 30 inches in diameter. Most are priced upward of 2,000 euros. He also designs collections that reveal the 21st-century glassmaker’s ability to mimic other materials like that movie camera as well as Navajo weavings or African tribal baskets. That’s how I met Manuela Zanvettori — a jeweler who doesn’t wear much jewelry — and how I purchased a year’s worth of glass gifts for female friends. The large and luminous glass rings look simultaneously modern and medieval, like the chunky bling you might see on a pope or cardinal’s finger in an old-master portrait. The fact that they cost just 25 euros takes away the sting of worrying that they might break. In contrast, her new Air collection is almost futuristic, with pendants and earrings composed of nearly weightless bubbles of clear glass filled with delicate shavings of gold, silver and copper. Artisans who focus on just one type of product — say, jewelry, mirrors or chandeliers — are nothing new on Murano. Fratelli Barbini is a family-run enterprise that has made mirrors since 1600. Stepping into its showroom offers a sweep through the intervening 414 years in palace décor, ranging from mirrors in massive baroque frames to curvy 18th-century styles made entirely of an elaborate mosaic of hand-cut black and mirrored glass. A 20-inch-high vanity mirror might cost $350, and something in the 10-meter-tall range first created for one of Philippe Starck’s hotel interiors can easily run you $40,000. According to Guido Barbini, who has worked in the family business for 55 years, the mirrors are all hand-silvered in house and all relief decoration is carved by hand rather than etched with acid. An intricate pieced mirror can take up to two weeks to assemble. While the niche firm Andromeda hasn’t been around for 400 years, it can perhaps rival Barbini in terms of its luxury hotel presence, although Andromeda’s creations hang from the ceiling rather than the wall. Chandeliers in all their variety are the specialty of Andromeda, which works with designers like Mr. Starck, Karim Rashid and Tobia Scarpa to create one-of-a-kind lighting fixtures. For home use, it has simpler lines, such as the streamlined Sublime chandeliers and sconces in pale shades of turquoise and jade. Just as the introduction of gas to the furnaces unleashed an era of innovation on Murano, so now is LED lighting technology. Well-placed LED lights can turn the glass rods and discs of a typical chandelier into a sort of luminous fiber-optic cable, setting the structure ablaze from within. Inspired by the potential of LEDs and his love of “making what does not exist,” Gianluca Vecchi, whose father founded Andromeda in 1973, is starting a brand called Khidr, featuring small pieces that look like large crystals or gemstones. They cast a magical light through thick masses of lushly colored glass. No two Khidr lamps will be the same. Clients can suggest size or color, but the rest is left to the maestro at the furnace. The showroom is set to open in November, and prices start at about 600 euros. At Seguso, among the oldest and most revered names on the island — going back 23 generations to 1397 — the trend is toward custom everything, including the tours available to visitors. Rather than marching crowds of tourists though its operation, Seguso has created “Night in the Furnace” dinner events and “Glass Experience” tours for six or fewer guests, who typically pay $200 to $300 a person to spend several hours seeing every aspect of the glassmaking process and its long history in the hands of Seguso maestros. The current generation’s grandfather, Archimede Seguso, was a pioneer in revolutionizing the industry in the mid-20th century. The prolific family has had many ventures on the island, withstanding the tides of taste and fortune. “In past centuries there were hundreds of furnaces working on Murano; today it is more likely dozens,” said Antonio Seguso, a grandson of Archimede who branched out on his own in 2012. Until the 1980s, one of Archimede’s sons, Livio Seguso, had his own factory but left the commercial business to explore glass from a purely artistic perspective, creating totemlike sculptures of wood, steel or marble supporting glass discs. Later works are wall mounted or even suspended from the ceiling with interlocking circles of steel and glass. His studio and gallery is on the Fondamenta Venier near Murano’s miniversion of the Rialto Bridge; while it maintains irregular hours, a call or email in advance can usually secure an appointment. Not far from Mr. Seguso’s studio, Murano’s Glass Museum is expanding its displays of modern and contemporary glass. But more newsworthy is that elsewhere in Venice, Murano glass is also being celebrated as fine art. Across the lagoon, exhibitions at the recently opened Stanze del Vetro on the island of San Giorgio Maggiore focus exclusively on local glass.